After gridlock and nuclear option threats, the Senate approved Tom Perez as the new Labor Secretary Thursday. Perez was confirmed by a vote of 54 to 46, and is the only Latino in President Obama's cabinet. Obama first appointed Perez to the position in March, but Perez's confirmation was delayed due to gridlock and Republican opposition in the Senate. Senate Minority Leader, Mitch McConnell, released a statement on why he was voting against Perez. "Americans of all political persuasions have a right to expect that the head of such an important federal department, whether appointed by a Republican or a Democrat, would implement — and follow — the law in a fair and reasonable way. I do not believe they could expect as much from Mr. Perez," McConnell said. 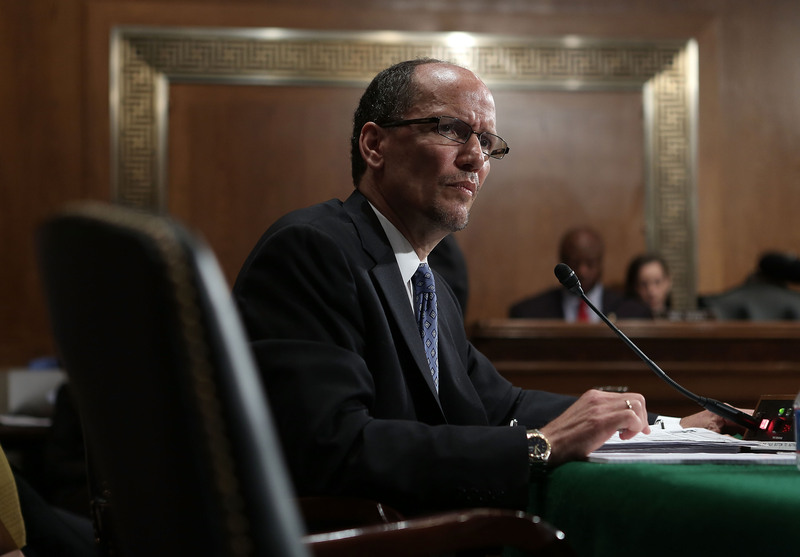 Before nominating him as the Labor Secretary, Obama appointed Perez to serve as an attorney general for the Civil Rights Division. "I welcome today’s confirmation of Tom Perez to serve as Secretary of Labor...I want to thank the Senate once again for agreeing to move forward on Tom and the other nominees who have waited far too long for the yes-or-no votes they deserve," Obama said in a statement.